WORDSWORTH penned 34 sonnets either celebrating or related to the River Duddon – according to the contents pages of my Wordsworth’s Poetical Works Volume V. I had intended to include a few verses here to introduce this piece, but having spent an hour reading through them I’ve decided that to rob a few lines simply for effect would be nothing short of a cheap and shabby act – so I’ve placed the book back on the shelf. Let’s talk fish and mountains instead . . . Hands up those who know what “treading fluke” is. “Treading”, in this context, is the act of catching flat fish in shallow water with one’s feet. Fluke is the Cumbrian and Lancastrian term for a flounder, a flat fish similar to a plaice, named so because of its similarity to the fluke of an anchor, apparently. 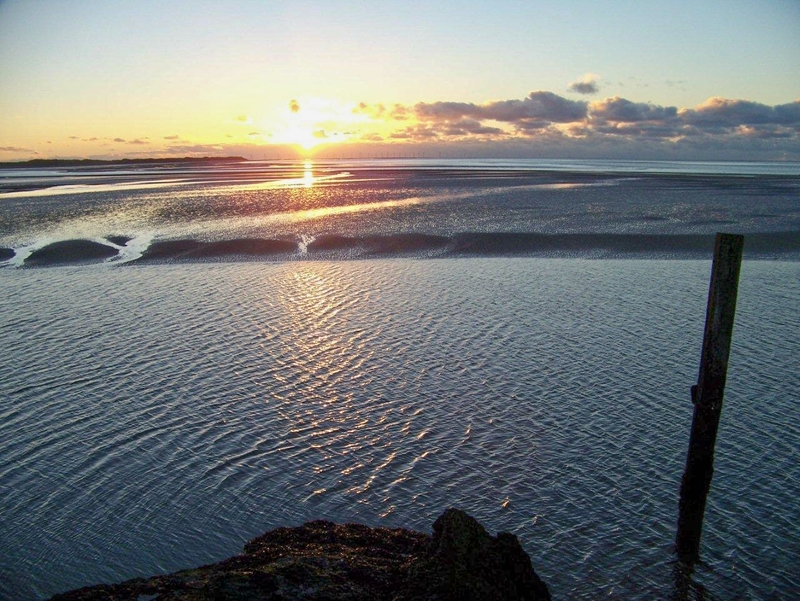 I learned to tread fluke in the Duddon estuary when I was still in short pants – which are the best things the wear. It’s a pleasant and productive activity. You wade carefully through the river channels when the tide is low, stand on a fish (which you can feel quivering in a state of alarm under your foot), reach down and place a hand around its head and a thumb in the gills, grab the tail with the other hand, lift the fish from the water and thread it on a length of string that’s tied to your waist. Wordsworth alludes to neither fluke nor treading, which is probably no bad thing. He does, though, get excited when it comes to mountains. 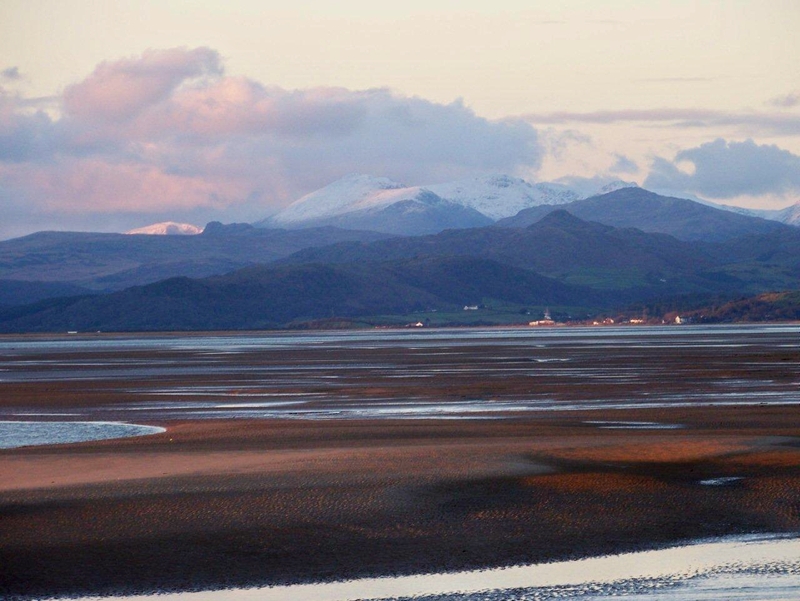 The Duddon is born in the heart of the mountains, flows through mountains and has probably, in geological terms, washed the equivalent of several mountains out into the Irish Sea. All that sand has to come from somewhere. 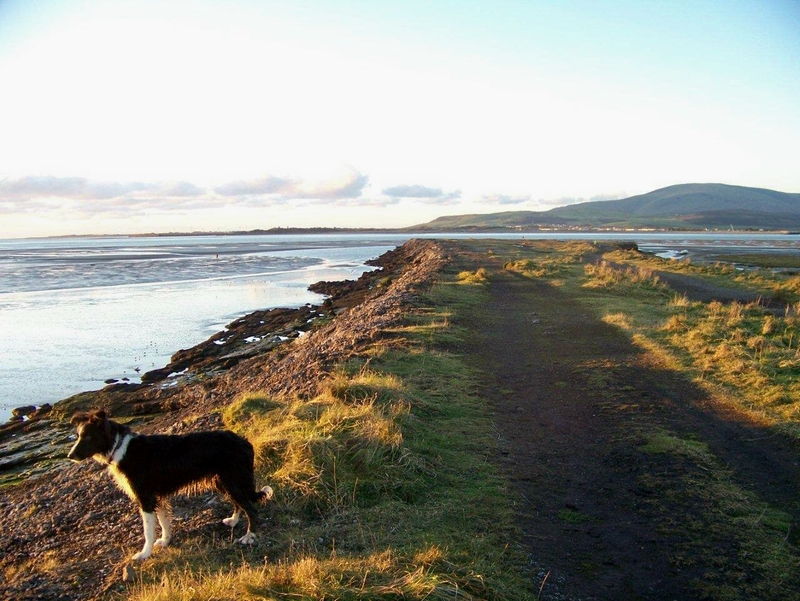 So I’m out on the sands at Askam-in-Furness on dog-running duty with Laddie IV, an eight-month-old Border collie my mother purchased from a farmer in Millom. 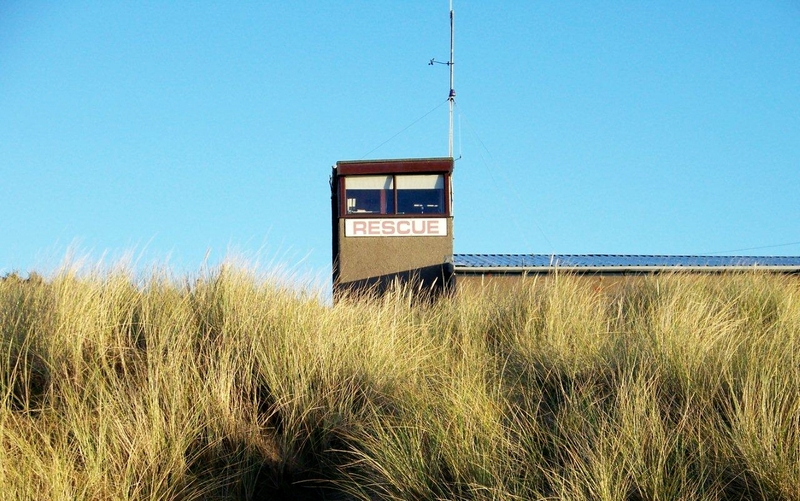 Laddie IV’s predecessors passed away peacefully many years ago, with the exception of Laddie I, which got run over by a steam train on the level crossing. Times were tough in those days and life was cheap. 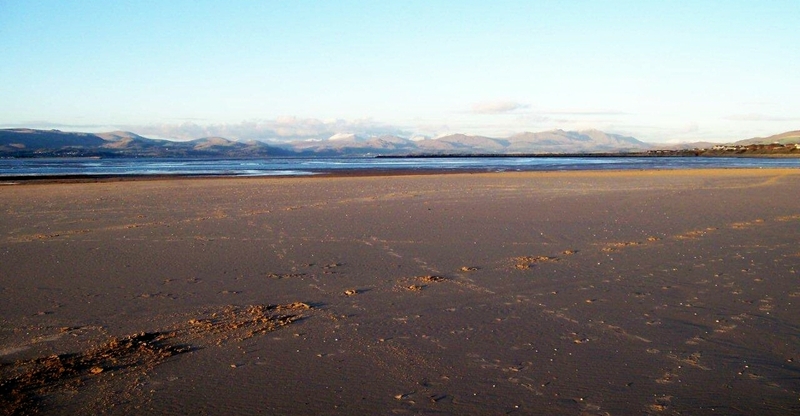 Stand on the Duddon sands and Lakeland unfolds in a sweep of bloody majestic grandeur. 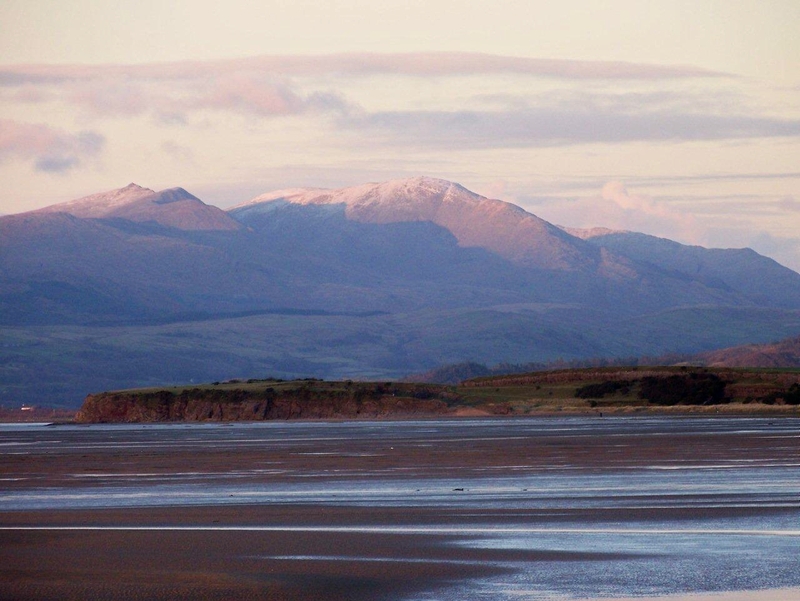 It commences with Black Combe in the west and pans eastwards to Scafell, Scafell Pike, Ill Crag, Great End, Bowfell, Harter Fell, Crinkle Crags, Dow Crag, Brim Fell, Coniston Old Man, Wetherlam, Helvellyn and Fairfield. It would be easy to say it’s a view that cannot be paralleled. So I’ll say it. 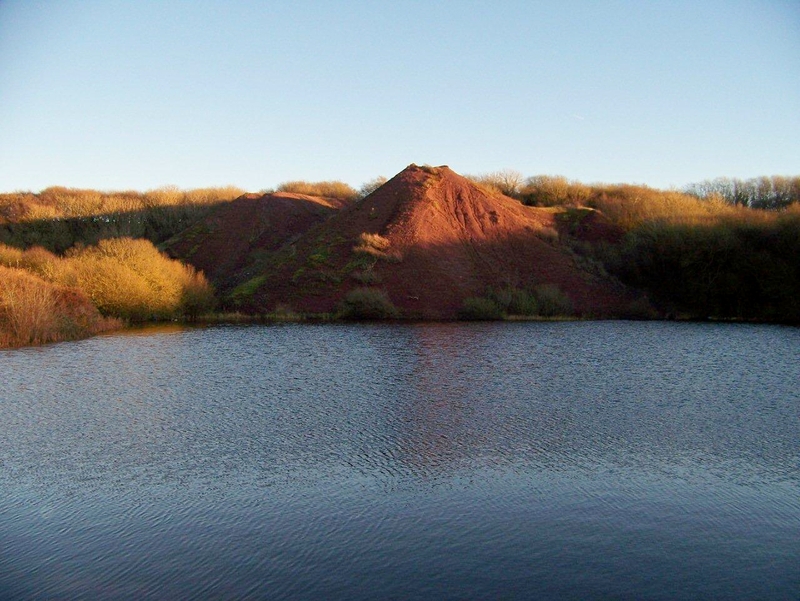 I’m wearing my running gear, and Laddie IV pulls me at a healthy pace along the sands to Blacks’ Pond, the subsidence crater of the old Woodhead Pit and remnant of the Furness peninsula’s iron mining days. Local legend maintains that the pond takes its name from a Mr and Mrs Black, whose bodies were found floating in its very black waters. Just thought I’d cheer you up after the level crossing incident. 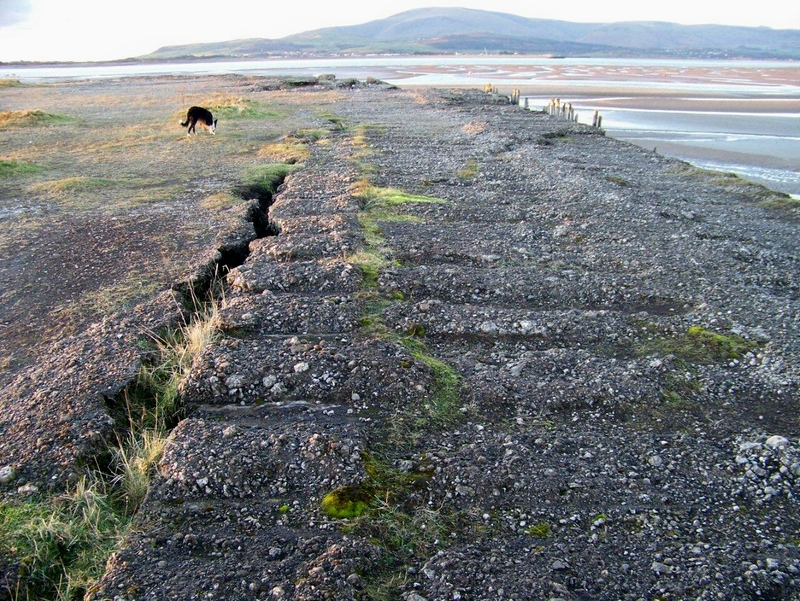 The tide has recently destroyed the Victorian seawall built to protect the mine-workings. It has also uncovered a cast-iron pipe that was probably part of the pumping equipment. The sea can do anything it wants and often does. Don’t mess with the sea. 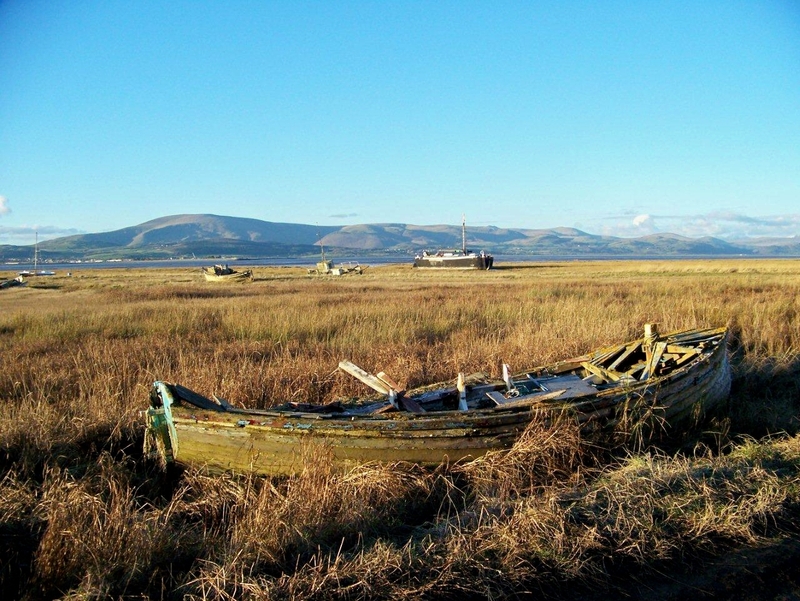 We splash through the ebbing tide to the nature reserve at Roanhead then splash back to Askam Pier. 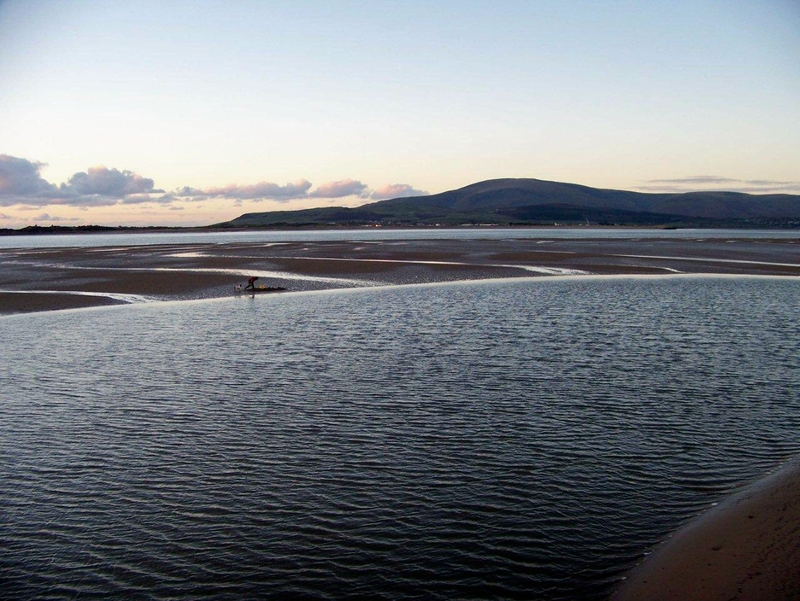 Askam Pier. No funfairs, no coconuts and certainly no kiss-me-quick hats. 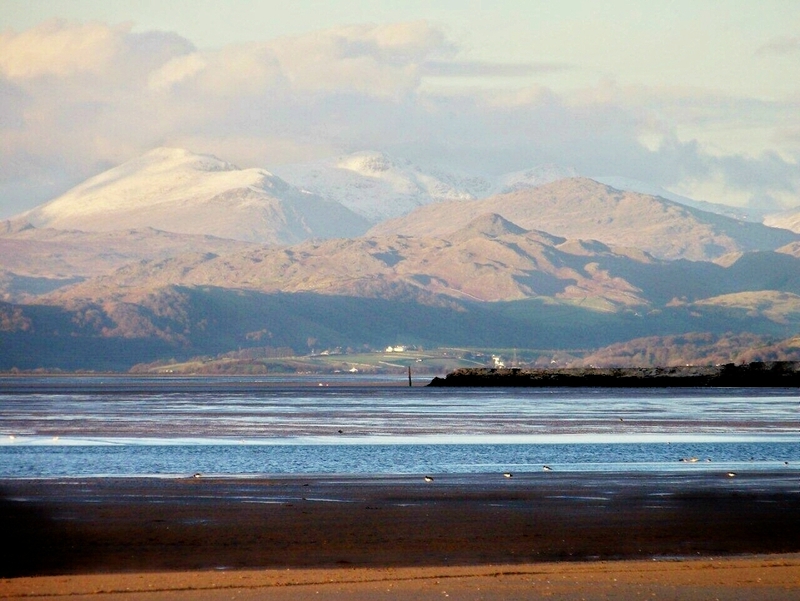 The pier is composed of slag from the local ironworks, which belched its last molten load into the Duddon in 1929. Wordsworth wouldn’t have approved. But he didn’t approve of much anyway. 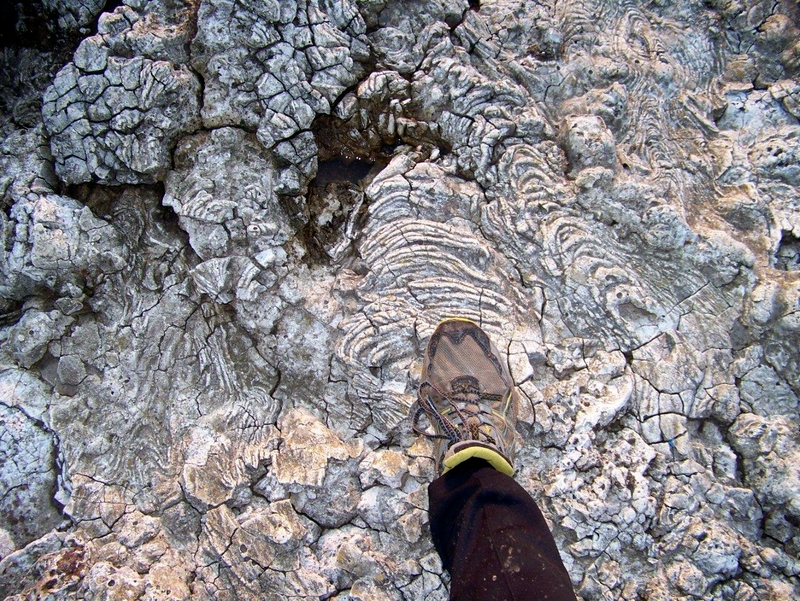 The slag solidified as it was poured into the sea, and the petrified lava flows are still very much in evidence. So too are the holes left by railway sleepers where they were lowered into the setting slag as the pier was extended. My grandfather remembered all this. I stand on the pier as the sun sinks into the Irish Sea and the air suddenly turns extremely cold. Out on the sands there’s a chap digging bait. There’s no one treading fluke. 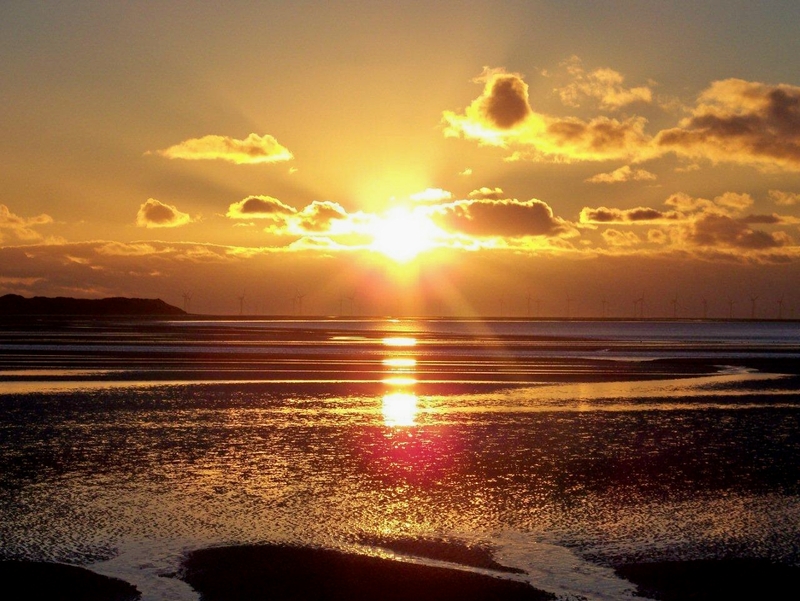 The lights are twinkling in Millom on the far side of the estuary and seabirds are calling. We run back along the shore. The dog is a bit faster than me. Askam has changed since I moved away in 1979. There’s a lot of mud and grass where once there was golden sand, a lot of new houses where once there were slag banks, and all but two of the many pubs have closed. People still tread fluke, I believe – so some things don’t alter. The Duddon still flows from the mountains to the sea. Wordsworth’s Duddon. And the snowy mountains still girdle the estuary in an incredible rocky tiara. It’s easy to get nostalgic about this sort of stuff. I might just drive over from Darlington to take that dog out again soon. This entry was posted in Climbing, Environment, Hiking, History, Industrial archaeology, Mountains, Running, Walking, William Wordsworth and tagged Lake District, Mining History, The Lakes. Bookmark the permalink. 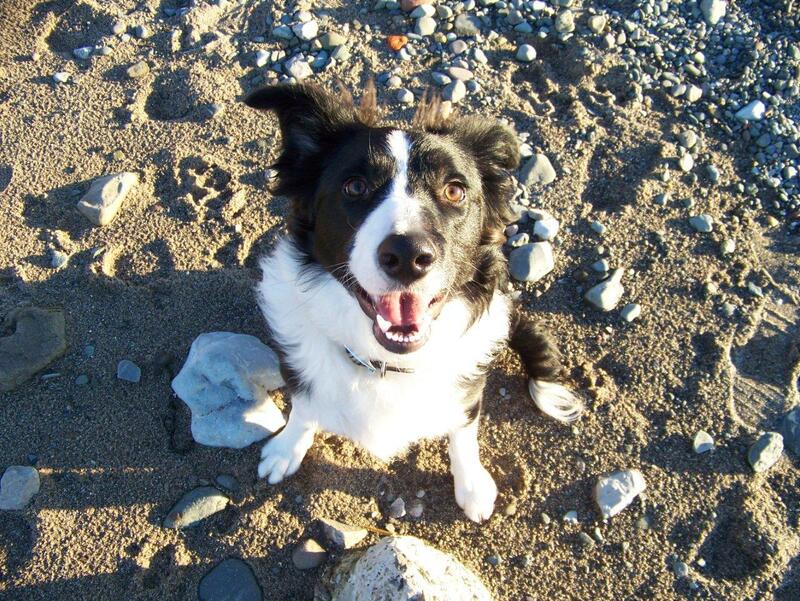 Cracking looking collie as well.Still think of mine daily three years after he died. He’s a lively dog, Alex. I thought I might wear him out because he runs at least four miles to my one – but it was the other way about. If he learns to catch fish as well that’ll be an added bonus. Ah, you know how to get me in the mood! I’ll be in Keswick Xmas week, hopefully for some of that good Lakeland air. Enjoy yourself, Colin. And don’t go overboard on the Cumberland rum butter. Love the photos and the local history! The last pic (sunset) is superb. Thanks Jo. I have a tried and tested technique. I point the camera and take about a dozen shots in the hope I might get one that’s half decent. Sometimes it works and sometimes it doesn’t. What a fascinating place. Beautiful mountain views, almost without comparison with other places. It’s a great way to catch the fish, Alen, a little polar bear-like. I would make sure that Laddie IV got an extra walk before Christmas. It is worth celebrating that most steam trains already are driven in remise. Hej Hanna. That made me laugh. I’ve never thought about it before, but it’s just like how polar bears catch fish – plodding through the water and scooping them up. I’ll have that picture in my head every time I go back. Yes, it is a very beautiful place, and when I was growing up I didn’t really appreciate my surroundings. When I return now I feel more like a visitor and look at the scenery with new eyes. 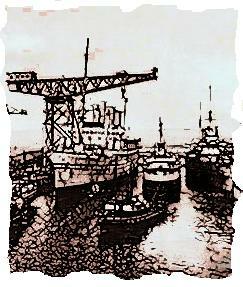 Another fine post Alen with some fine local history, although I do think Laddie IV did steel the show on this one, another belter. Ha ha. If the dog stole the show then not only is he going to have to catch fish, he’s going to have to learn to write this blog as well. Thanks Paul. 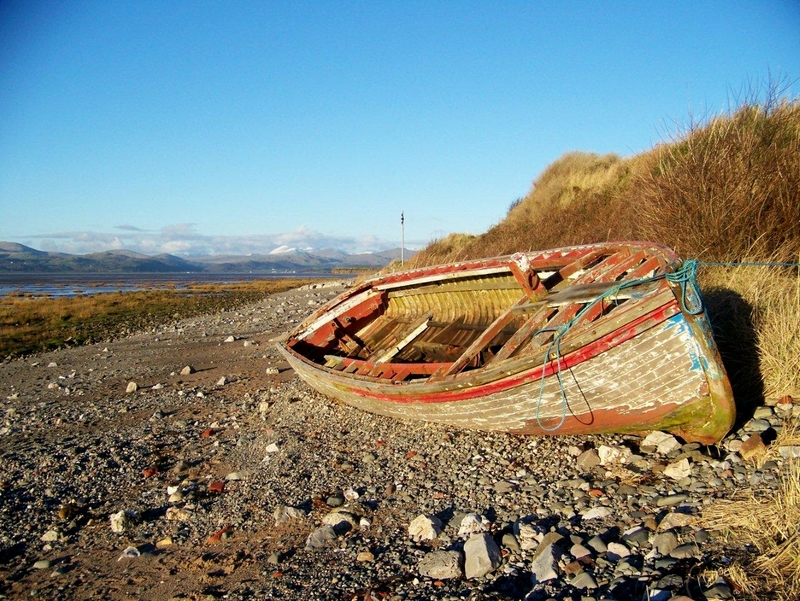 Wow what a fantastic location with those old boats and the fells behind. That is definitely going on my ever growing list for a visit. 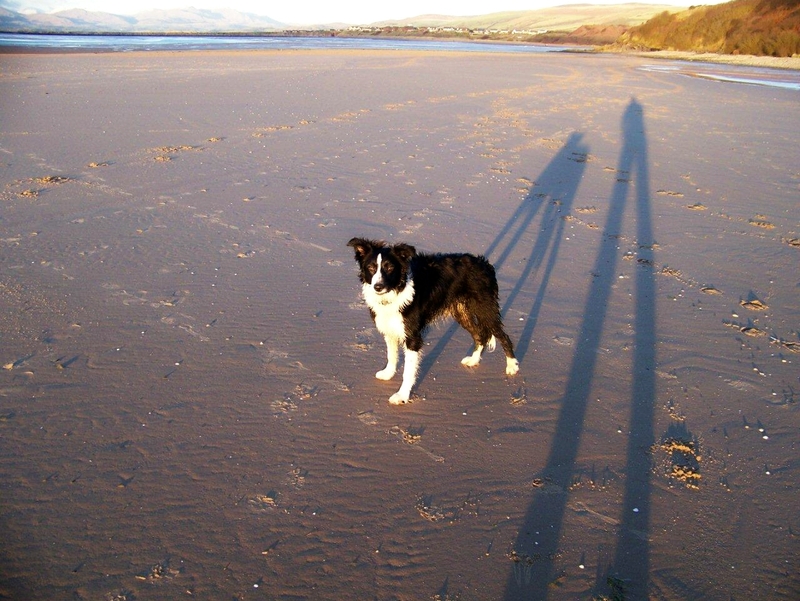 That’s a grand dog Alen I bet it was great striding out over those sands together. 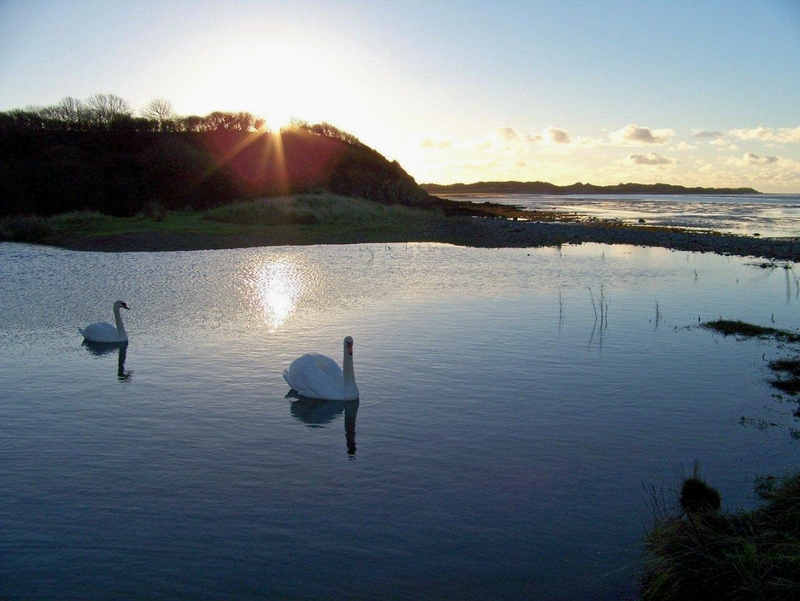 Well if you’re ever in that area, David, you must visit Sandscale Haws Nature Reserve, at Roanhead, with its natterjack toads, 600 plant species and coastal fungi. I would imagine it would be right up your street. The Scafell Range shot is a beauty. I never knew much about the topography of these regions and always am amazed. Thanks Alen. I’ve been without Internet lately and sure miss visiting. Aloha, Dohn. Hi Dohn. Thanks for that. Glad you like the Scafell shot – that’s a view I grew up with and it means a lot to me. A lovely area and one of my favourites – i’m up at Broughton-in-the-furnace (as we call it) quite often, staying at the Manor Arms. Great photos. Not so sure about the fishy bit though – I couldn’t kill anything myself unless it was either me or them! Hi Carol. I’ve never been in the Manor Arms. The King’s Head was always my favourite – and the Blacksmiths over at Broughton Mills. I haven’t been up there for about 20 years so I’m long overdue a visit. It’s a great area. The Blacksmiths is a lovely little pub. The Manor Arms is where most of the locals and ‘characters’ hang out in Broughton so it’s a must if you go there again! I shall call in for a pint the next time I get chance. 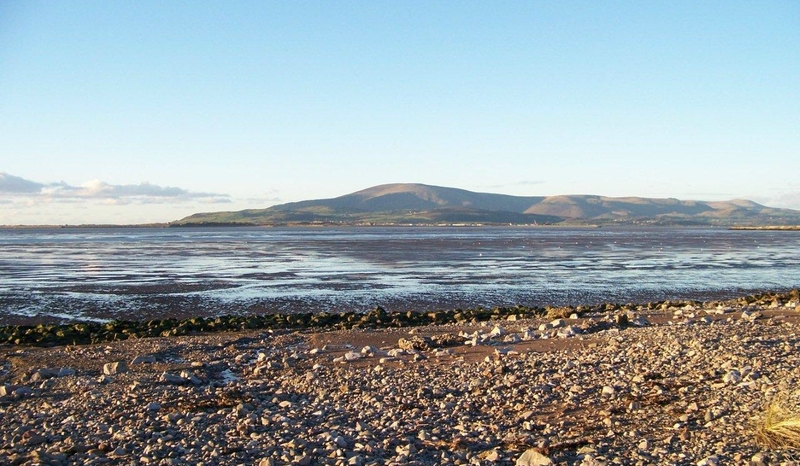 The last time I was in the area was when staying with friends near Millom a few years back and we had a boozy night in the Prince of Wales at Foxfield. Very enjoyable evening.